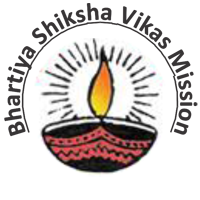 Bhartiya Siksha Vikas Mission : 2012 : Current Recruitment - Latest Employment News, Sarkari Naukri, Current Vacancy and Rozgar Samachar. We aim to run over more than 500 schools and 1000 computer learning center all across the country by 2012. The Bhartiya shiksha Vikas Mission is promoted by the Vivekananda foundation (VF)- . an organization registered by Ministry Of Corporate Affairs Govt. Of India under Co. Act 1956 (No.I of 1956). Registered N:-PTC-026849. created with the sole aim of providing quality learning comparable to the best in the world. BSVM is an initiative of the Career Launcher Group and is formed with the singular objective of 'Realizing potential and making individual dreams come true'. Within a span of a decade, we are now widely considered as one of south-Asia's fastest growing edu-corporates. Our presence is in Indian states 14, across 295+ locations with our 350 centers and we are planning for more expansion in near future. Salary: - Rs. 8000 Per. Month + 1500 fix T.A. Parmot mission education programs developed our new schools and canter. Introduce our mission in local arias like mohlla, village small urban aria and rural arias Listing for survey projects, and reporting your local Development officer. Shall be responsible for distribution of course materials to the students with maintaining registers. Shall handle daily calls, mails reports, follow-ups the students for registrations. Shall produce regular status reports about mission activities, registrations and prospects and present to the management on weekly / monthly basis. Shall be able to meet the budgets set forth by the management on monthly basis. Salary: - Rs. 13000 Per. Month + 2500 fix T.A. Meeting shiksha sahyak and generating Business . Shiksha shayak Field Problem identified and solved. Eligibility: - candidate minimum education academic qualification 10+2 /senior secondary pass by government recognized Board,Technical qualification must be required any computer Diploma .CTTC/PGDCA/DCA/BCA/MS-CIT/RS-CIT/IDCOM/any other computer diploma, for recognized institute. Salary: - Rs. 9000 Per. Month + 1500 fix T.A.